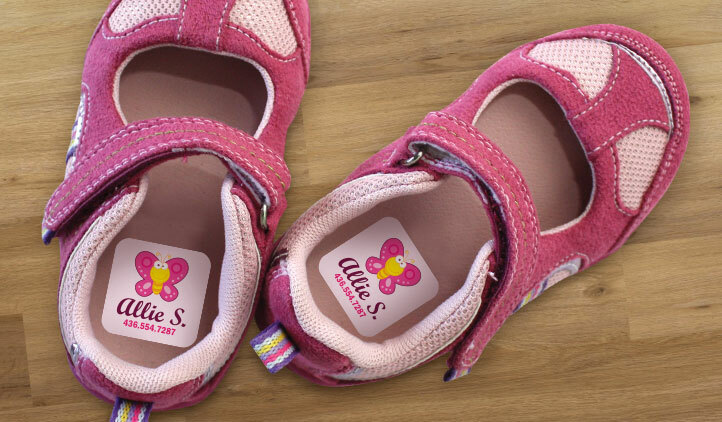 With super-sticky adhesive, Shoe Labels are perfect for labelling insoles of your child's shoes. 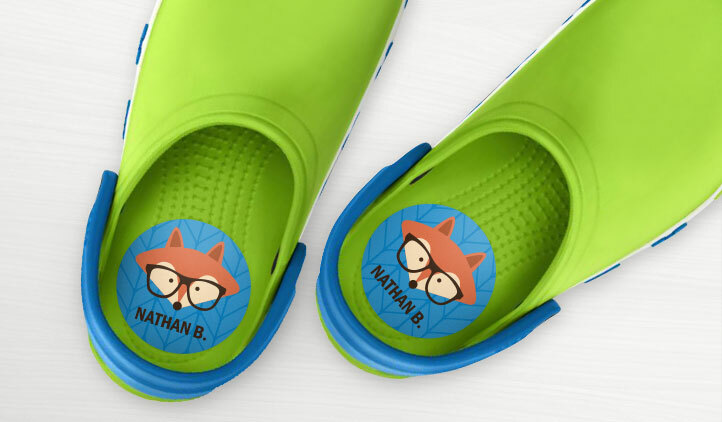 These scratch-proof, water-proof, UV-proof, fade-proof wonders can be fully personalized with fun images and your child's name, just like all our other kids stickers and labels! From running shoes, heels, construction boots, to glass slippers, whatever the footwear, StickerYou has a label to fit your shoe! 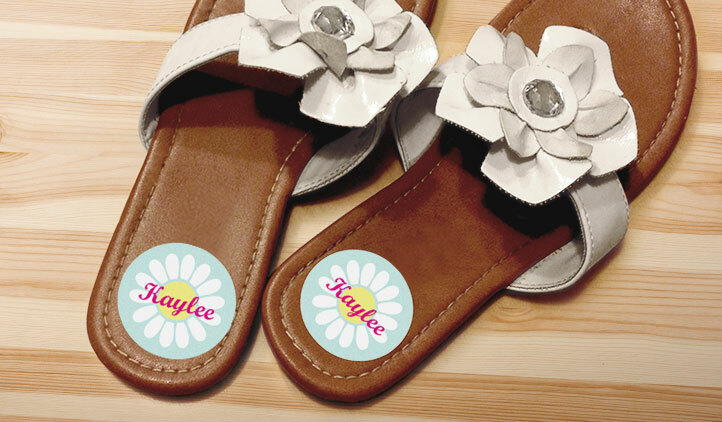 Perfect for kids’ shoes, you can make a set of shoe labels for every pair, and to help teach kids right from left, you can even have labels to help them learn. Use their first, last name, or both, include an icon of their favorite character or fun design, and help ensure they keep track of their shoes. While good for kids, shoe labels are also practical for adults, too. If you like to leave your shoes at the office, and journey home in something more comfortable, make labels to help keep track of them so they won’t get misplaced. Our high quality, glossy vinyl material has a special uv-coating so your labels don’t rub off after every day wear. At StickerYou, you can make labels for every member of the family on the same sheet of labels with the classic sticker maker. If you have a specific size you need to fit the shoe, with our custom labels it’s no problem! All you have to do is measure the size of your shoe to fit, and make your label to match. Don’t let the end of summer get you down! With our back-to-school kids label essentials, StickerYou makes back-to-school easy as ABC.